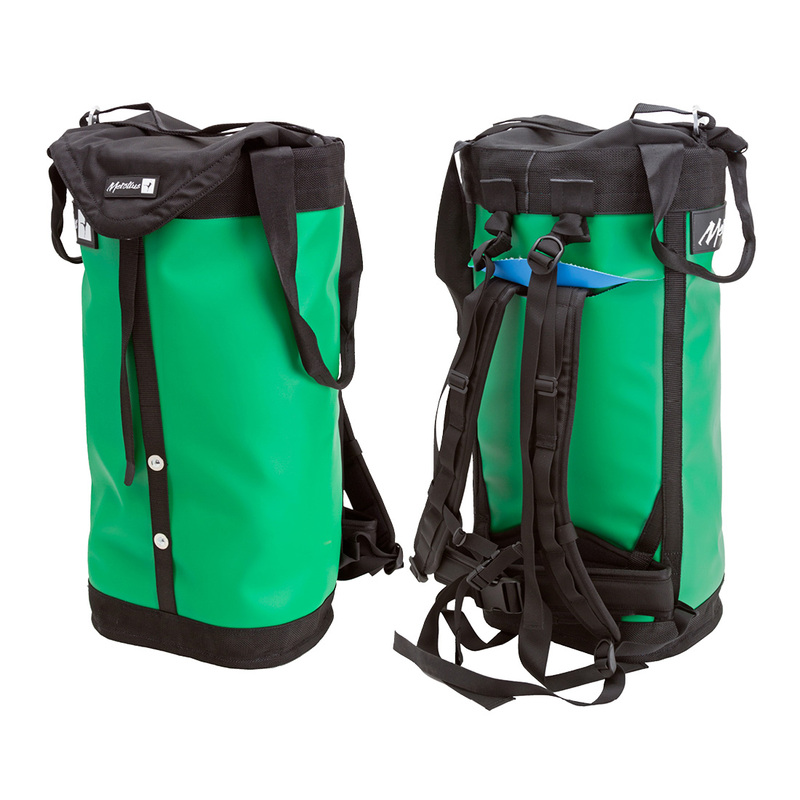 The Sentinel is designed for use on shorter walls or as a sub-bag under your main haul bag. It is made of Durathane™, which is 10 times more abrasion resistant than the vinyl-coated nylon used in most other haul bags! It also conveniently doubles as a super-tough crag pack. It has an RF welded main seam, forming a leak-proof seal that is stronger than the fabric itself. It has a double-layer ballistic lid with an internal zippered pocket for quick and easy storage of small items. This bag is well-padded, with a removable back pad and an ergonomically-cut suspension system that tucks away in seconds for hauling. It has virtually indestructible custom aluminum closure buckles, a top compression strap, and offset haul points. The Half Dome is an incredibly tough haul bag. It is made of Durathane™, which is 10 times more abrasion resistant than the vinyl-coated nylon used in most other haul bags! The main seam is RF welded, creating a leak-proof seal that is stronger than the fabric itself. In addition, all the structural stitching is covered with 3" webbing and then re-stitched for maximum durability. This bag is well padded, with an ergonomically-cut suspension system that tucks away in seconds for hauling. It features a river-bag-style closure and custom aluminum closure buckles that are virtually indestructible. The Half Dome has dual top compression straps, offset haul points, and a drain hole. Three internal gear loops and a zippered internal pocket in the lid for easy access of small items. A larger version of the Half Dome, the El Cap is the largest haul bag we make.